From a distance, they look like temples. On entering inside, you see small stepwells brimming with water. These once-venerated naulas, which used to dot the villages of Uttarakhand, are now vestiges of scientific knowledge and craftsmanship. For a Himalayan state like Uttarakhand, where about 20 per cent of the 15,165 villages face problems related to drinking water provision and more than 180 villages do not have a designated source, this loss is colossal. While the possibility of reviving these dying water harvesting structures is shrouded in uncertainty, pockets of hope are still springing up in some parts of the state. Springs are the lifelines of Uttarakhand. 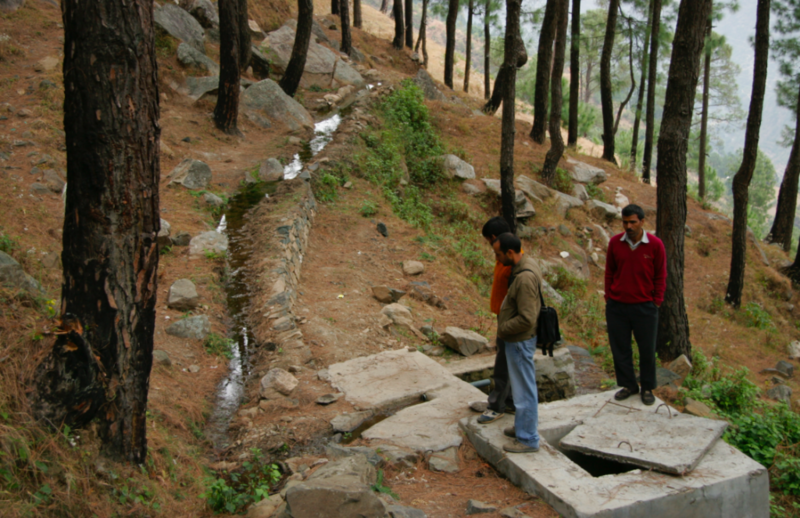 Going by the UNDP’s estimate, about 260,000 springs provide 90 per cent of the drinking water sources in the state. However, deforestation, reduction in temporal spread of rain, marked decline in winter rain and forest fires have affected spring catchments, resulting in reduced discharge from springs. But, unlike in case of naulas, local communities are not ruing about it; in fact, they are doing something about it. Under Tata Water Mission—an initiative of Tata Trusts—312 villages (out of 1,724) in Pithoragarh district have successfully implemented springshed management project. “We adopted catchment area approach by identifying sources of springs, understanding their history and doing a diagnosis of the issues due to which they are drying up, before identifying areas that need to be rejuvenated,” says Divyang Waghela, Head, Tata Water Mission. Importantly, the project maintained a synergy between R&D institutions and local communities. The science of springshed management was simplified and disseminated to communities. “We generally try to follow a bottom-up approach by engaging communities. After doing more than 500 diagnostic studies, we prepared janam kundli (history) for the springs. After the dagnosis is over, we mobilised local communities and sought their involvement in next-level interventions,” adds Waghela. The next-level interventions included creation of contour trenches, recharge ponds and recharge pits, apart from increasing vegetation in specific locations. The outcome was evident. Within one-and-a-half years of the completion of the project (February 2016), the spring discharge increased from 6 LPM (litre per minute) to 30 LPM—a 500 per cent jump. Interestingly, despite receiving only 5 mm of rain in September, as opposed to 70 mm in the corresponding period the previous year, spring discharge was 11 LPM, higher than the baseline of 6 LPM. Women have been the major beneficiaries of the project, as they share the maximum burden of arranging water for household use. Steep terrain and long walk to the closest water source has been a long-persistant problem, with situation aggravating during summer. “Before the project, a household used to spend five to six hours every day to collect water as low discharge from springs used to lead to long queues for water. Now, their waiting time has been reduced to few minutes,” says Waghela. 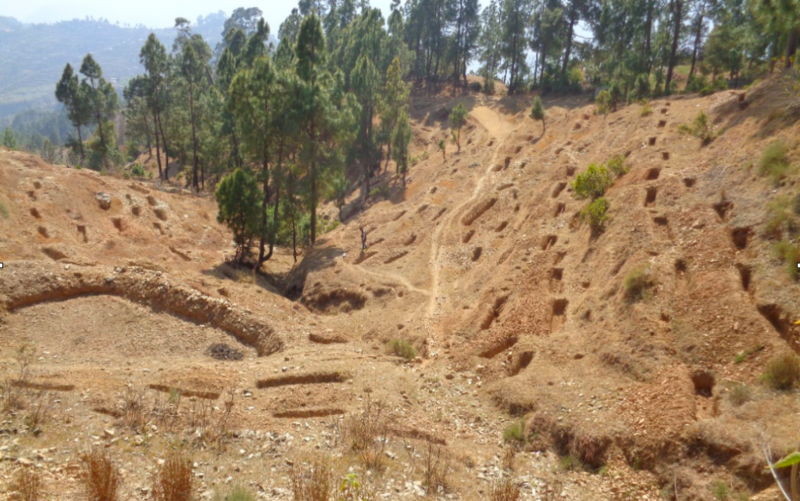 Springshed management assumes further importance given the fact that perched at a height of 1,645 m (5,397 ft), much of the rainwater in Pithoragarh is lost as runoffs and does not percolate into aquifers. Consequently, groundwater doesn't get recharged, and natural springs start drying. For example, in Almora district, the number of functional springs has gone down from 360 to 60 over the last 150 years, which is disconcerting. But reviving the springs is half the job done. What about their upkeep once they are revived and their discharge level improves? ‘Water Champions’ take over. 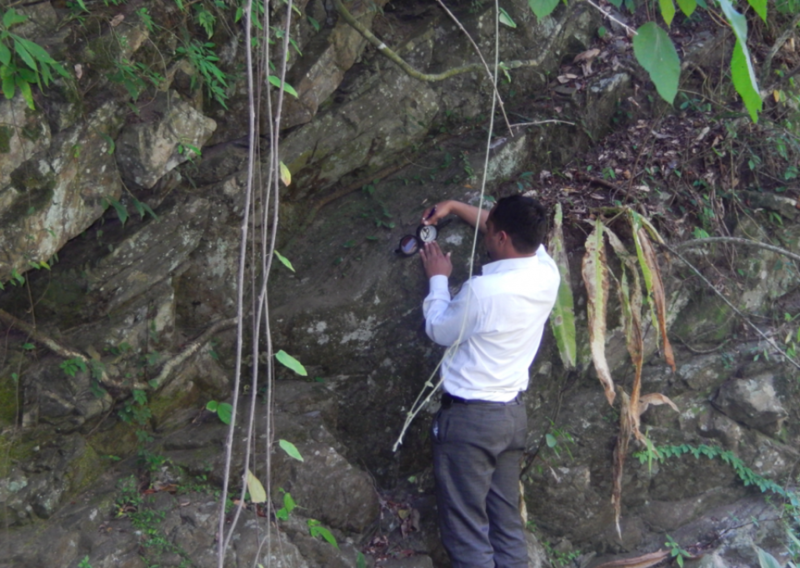 Under the project, a cadre of para-hydrogeologists is being created through training and capacity building programme. “No development project can sustain unless communities remain at the forefront. We do handholding activities with them for three to six months and then let them take charge of their resources,” says Waghela. From creating a fund with the help of local residents for future interventions to becoming the eyes and ears of the local administration, these community volunteers ensure the sustainability of the project. At a time when more and more perennial springs are either drying up or becoming seasonal, such projects can augment natural infiltration and recharge by putting communities at the heart of it.